ZENA Designed by women for women for better balance and comfort The Zena has been designed by women specifically for women. The twin straps adjust to fit waist and hips independently, while the elastic front panels provide outstanding fit and comfort. Our patented PFS sizing system allows for the waist size, chest size, and torso length to be independently fitted. 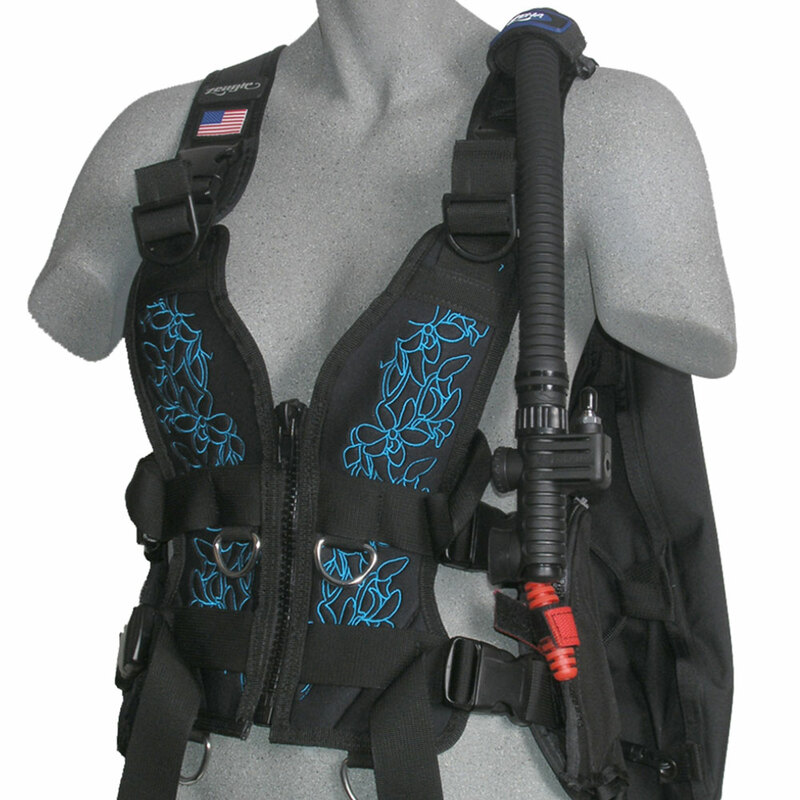 The Zena is designed to be fitted with the upper waistband at the natural waist, placing the weights and buoyancy low, around the body's center of buoyancy. It closes in the front with a heavy-duty zipper for a snug and secure, yet non-restrictive fit. A Ripcord release weight system is standard. 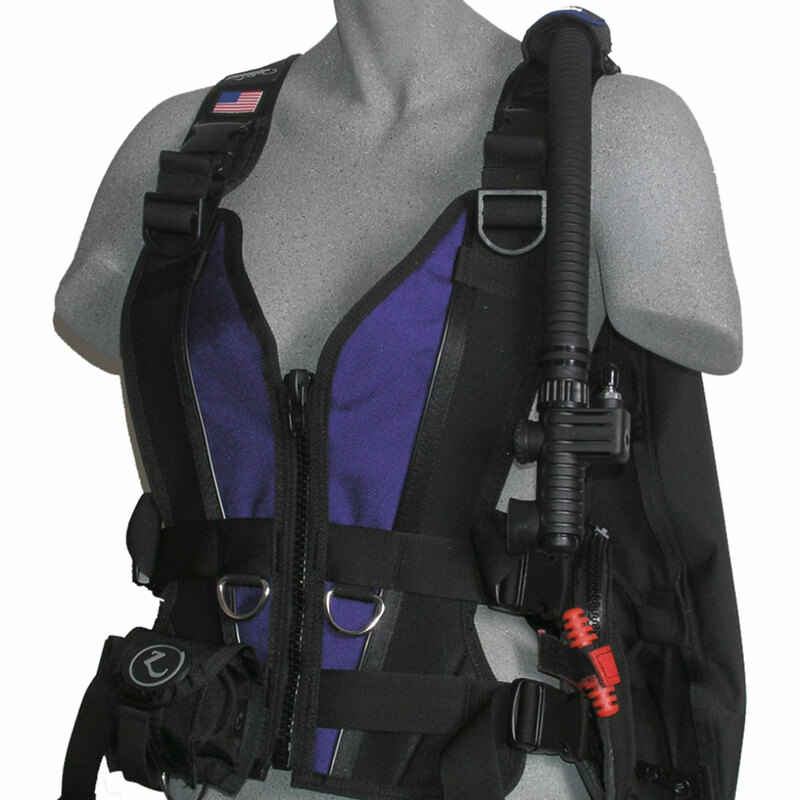 The greatest difficulty in properly sizing a woman's Buoyancy System is not finding a smaller size, or allowing for the bust, but the fact that women's bodies have a defined waist where a waistband must fasten in order to secure the BC. At the same time, women tend to have both a shorter torso length and a lower center of buoyancy compared to men. 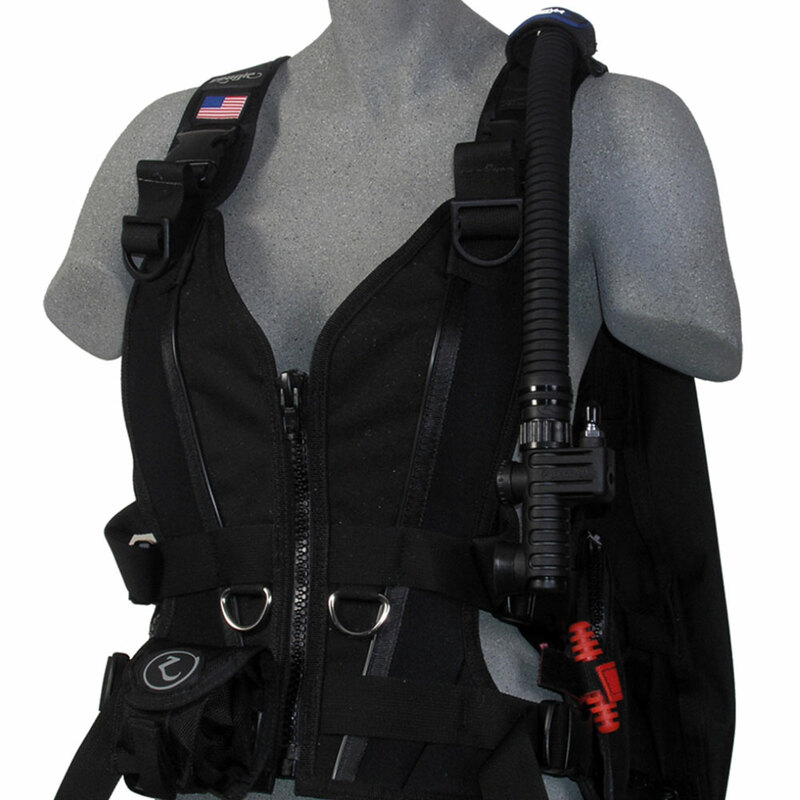 So conventional buoyancy systems, which would ideally be worn lower for best balance and comfort, must be worn higher, around the narrowest part of the waist, in order to be secure. 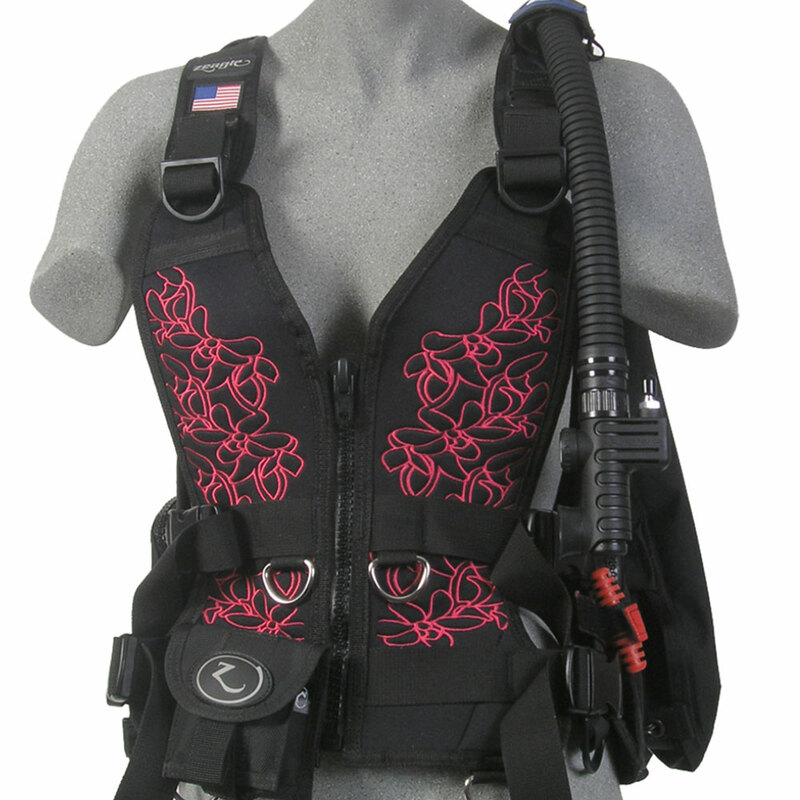 The Zena's twin waist and hip band system provides a way for women to securely position the weights and buoyancy below waist level, around the body's center of buoyancy. 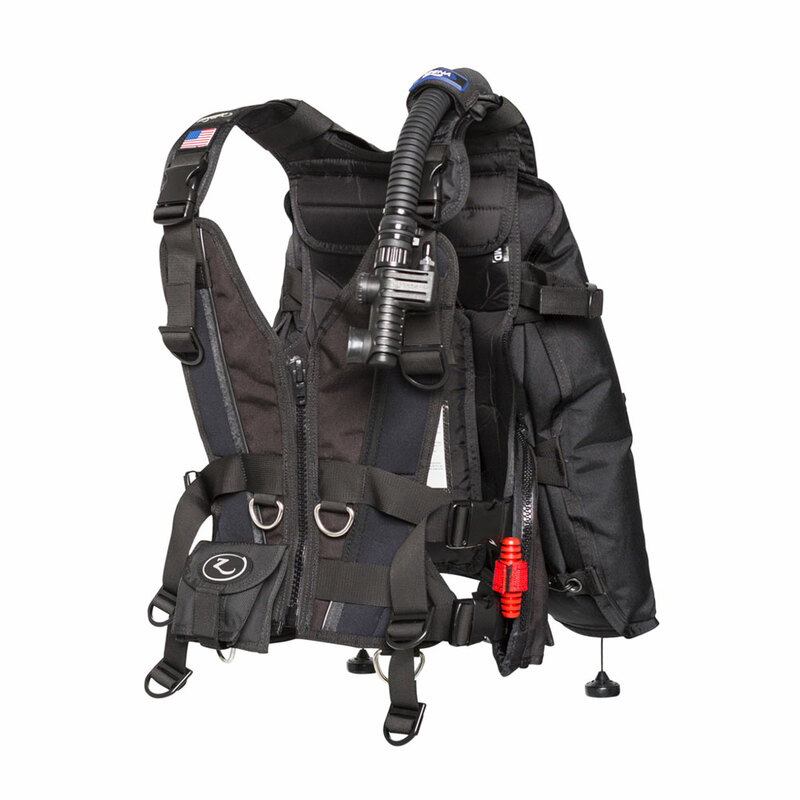 The Zena is designed to be fitted with the upper waistband at the natural waist, placing the weights and buoyancy low, around the body’s center of buoyancy. It closes in the front with a heavy-duty zipper for a snug and secure, yet non-restrictive fit. 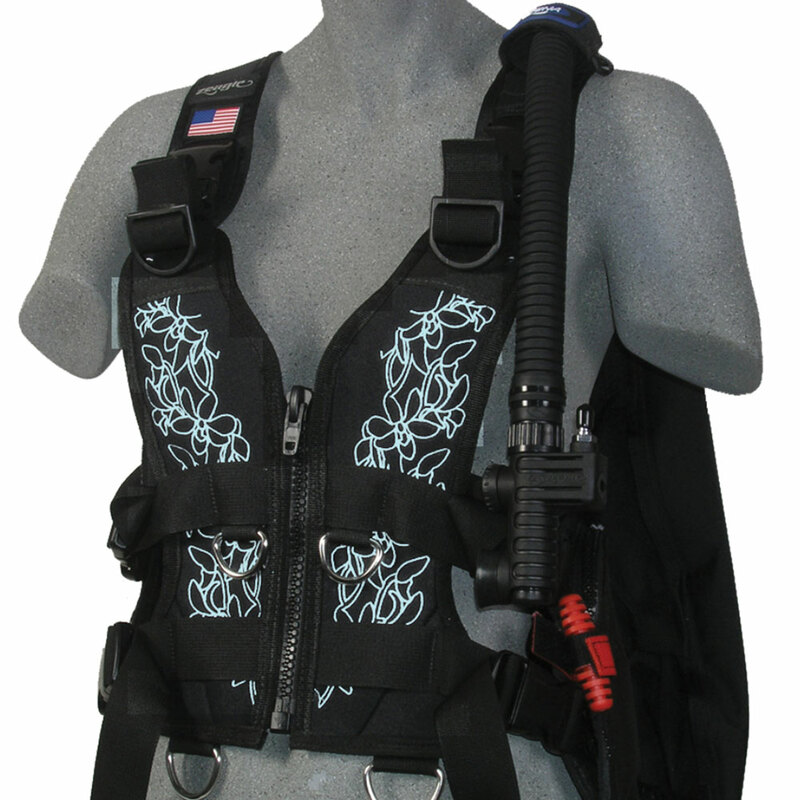 A Ripcord release weight system is standard. 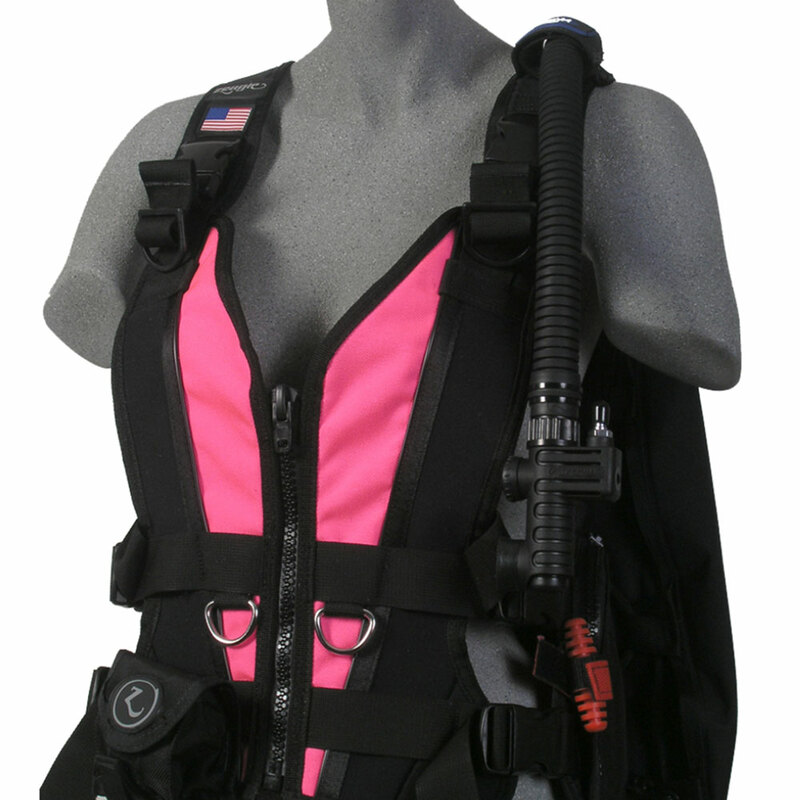 The greatest difficulty in properly sizing a woman’s Buoyancy System is not finding a smaller size, or allowing for the bust, but the fact that women’s bodies have a defined waist where a waistband must fasten in order to secure the BC. At the same time, women tend to have both a shorter torso length and a lower center of buoyancy compared to men. 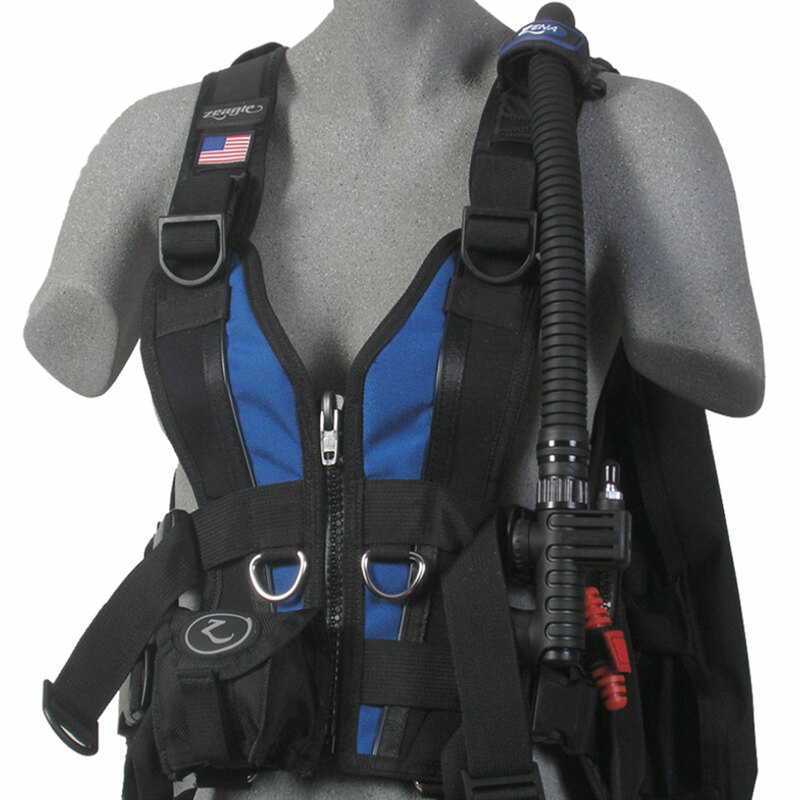 So conventional buoyancy systems, which would ideally be worn lower for best balance and comfort, must be worn higher, around the narrowest part of the waist, in order to be secure. The Zena’s twin waist and hip band system provides a way for women to securely position the weights and buoyancy below waist level, around the body’s center of buoyancy.